The Lake County Y serves over 50,000 people annually at four locations throughout the county and last year provided over $1.2 million in financial assistance and program subsidies in 2018 so that all who wish to participate are able. 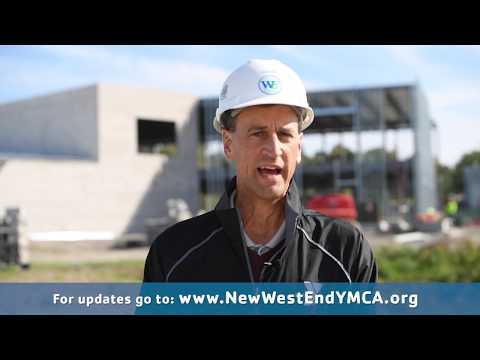 The West End Y reaches more than 16,000 people annually through programs and membership. Nearly half of those are youth and teens, and over 1,150 are Silver Sneaker members (65 and older). Last year the West End Y provided over $300,000 in financial assistance to those who need support—approximately one in every six members. In direct collaboration with the Willoughby-Eastlake City School District and the City of Willoughby, we are creating an intergenerational community hub – Union Village. Together on one campus, we will partner to build a new West End Y, Willoughby South High School, Willoughby Middle School and Willoughby Senior Center. The collaboration of these organizations will foster a cost- effective focal point for learning, growth, and healthy living for western Lake County residents. 34,700 sq. ft. of space committed for ALL of our community. High-tech Wellness Center to foster healthy lifestyles. Warm-water swimming pool to benefit all ages and abilities. Group exercise / cycling studios to promote fun and friendship. ADA-compliant construction to meet diverse abilities. Multi-purpose gathering spaces to address community needs. Intergenerational space serving seniors during the day and youth/teens after school. Enhanced facility technologies that will significantly reduce operating costs allowing us to do more for less. This thoughtfully designed, modern facility will provide program space that better supports healthier lifestyles, prevents chronic disease and strengthens kids and families from all socio-economic and ethno-racial strata.